Hi all! I’m Kat from Home. Made. Interest. and Kelly has been sweet enough to let my blog partner Melinda and me join Typically Simple as guest contributors. Looking forward to getting to know everyone! 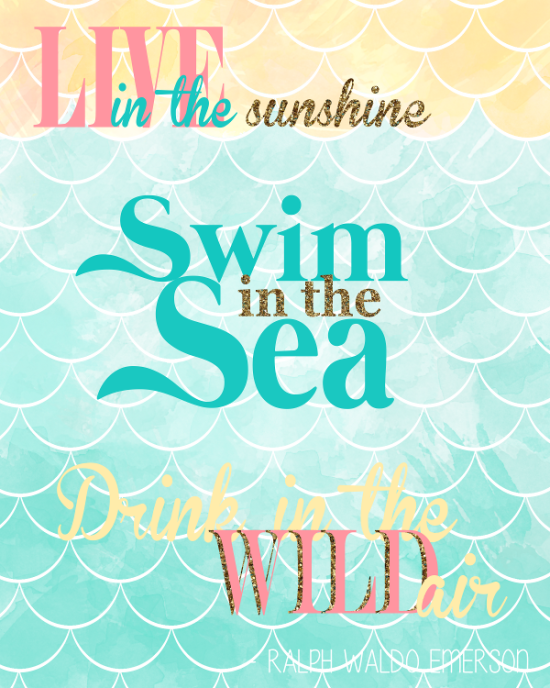 I love the summer, and nothing says summer like laying in the sand, baking in the sun and listening to the ocean. I haven’t had a chance to make it to the beach yet this year but when I found this Ralph Waldo Emerson quote I felt like I could smell the salty air. 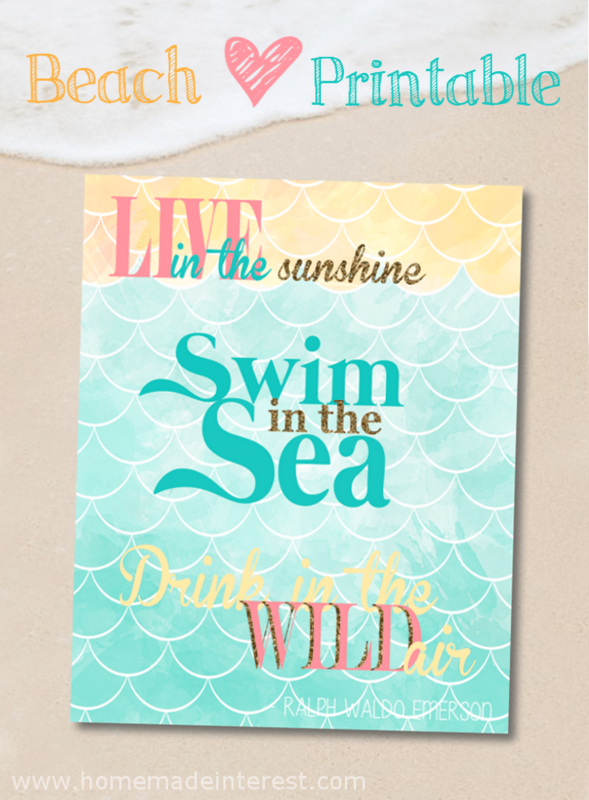 This printable is a combination of all of the graphic design elements I love right now, fish scale/scallop patterns, water colors, gold, and teal/coral color combinations. I love how it turned out and as soon as I find the right frame for it (I’m terrible at the getting-it-in-the-frame part) it is going to join my summer mantle decor. We’re best friends who love to create! Whether it is a crafty Pinterest project, hosting a party, home decorating or trying out a new recipe, we enjoy coming up with ideas and seeing if we can make them happen. We started having craft nights a few years ago, getting together weekly to work on our latest Pinterest-inspired project, and we decided to start a blog to share our creations. Sometimes we succeed, sometimes we fail, but we always have fun!